Last summer, I attended the Modern Doll Collectors Convention in Orlando with some dear friends. While there, I attended a collector’s presentation on Robert Tonner’s child dolls. Robert himself was in attendance, and he mentioned that he was in the process of preparing a significant number of his private collection of vintage fashion dolls for auction. I was immediately intrigued by the prospect of owning a doll from the collection of Robert Tonner. I have more Tonner dolls than any other in my own collection, and it was his work that introduced me to the world of collector fashion dolls. I think he is a tremendously gifted artist and visionary in the realm of doll art. Owning a doll that he personally selected for his own collection would, to me, be like owning a little bit of fashion doll history. In the fall, I learned that Robert’s collection was to be auctioned off by Theriault’s—an auction house dedicated solely to the sale of antique dolls. While the auction would take place in New York City, it would also be telecast over the Internet, where people could register to bid remotely. I marked the auction date on my calendar. Theriault’s composed a detailed listing, complete with stunning photos, of the auction dolls on its website, so I could decide ahead of time which of the 600+ beauties I wanted to bid on. 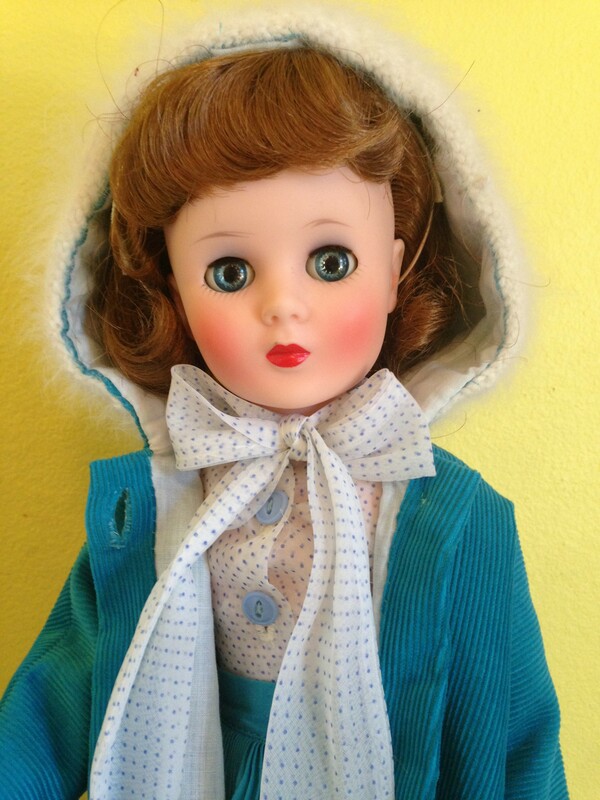 I know next to nothing about vintage dolls, so I solely went on which dolls “spoke” to me. Quite a few did. On the day of the auction, I logged on and watched the action. The experience was very much like being there. There was a streaming webcast, and dolls were held up to the camera for a closer look. When someone on the Internet placed a bid, it was immediately noted at the live event. I bid on several dolls, but most went higher than my budget allowed. However, I did manage to snag two of them for a few hundred dollars. Again, I only went on what “spoke” to me, so I have no idea if I got a “deal” or not. All I cared about was that they were pretty, and that they had been owned by Robert Tonner. 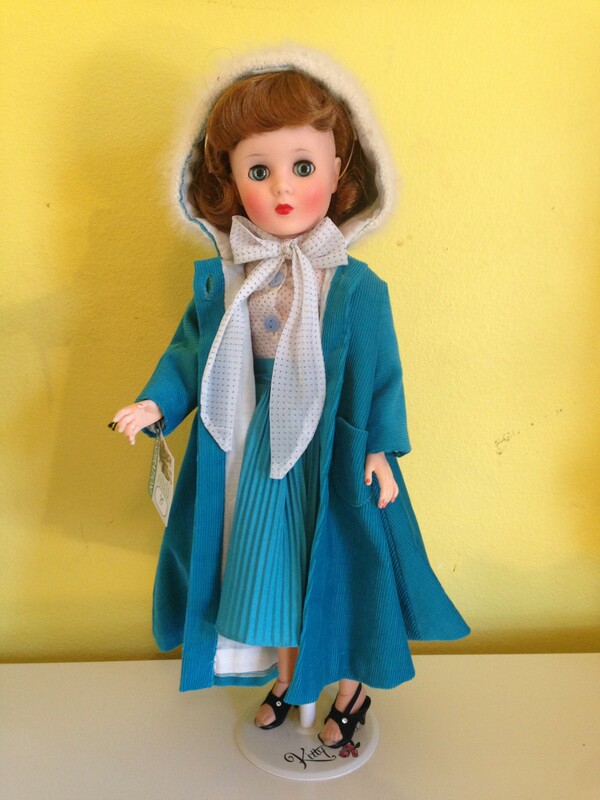 The first doll I purchased was a 19-inch “Sweet Sue” doll from 1957 in a blouse, skirt, and—what sealed the deal for me—a wonderful hooded corduroy coat. When I opened this doll, I was first struck by the quality of the doll and her clothing. 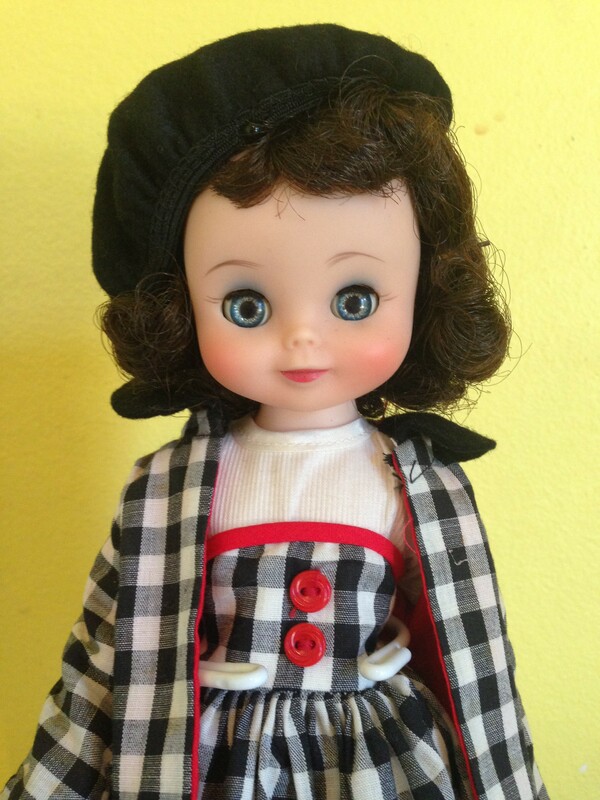 Sweet Sue was a play line doll, but her quality is more like what modern collectors expect after spending several hundred dollars on a doll for their collection. No wonder Robert collected these dolls. 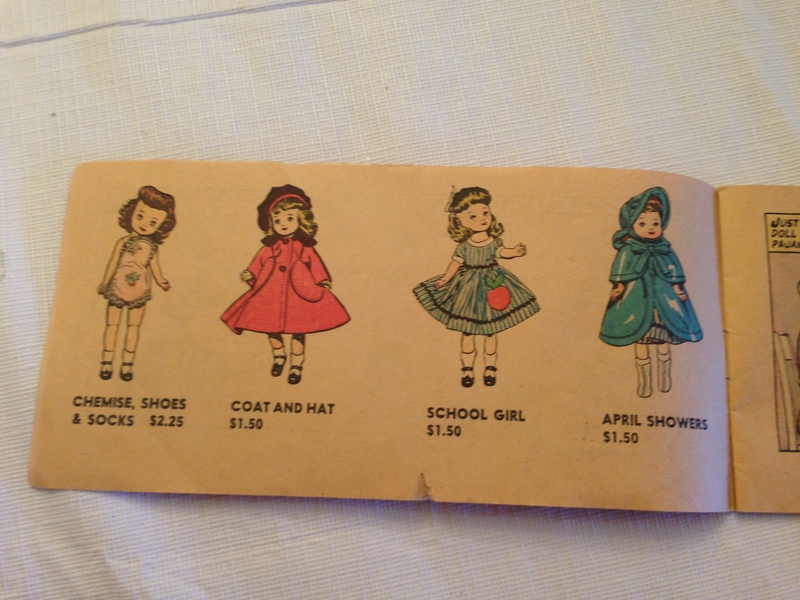 Today’s play line dolls—with their cheap fabrics and poor construction—do not hold a candle to the 1950s fashion doll. I recall listening to Robert at several conventions as he recalled how much he wanted a “Little Miss Revlon” doll when he was a boy, and how he coveted the one that his sister was given. How wonderful that he was able to succeed so much in his craft that that he could amass such a stunning collection of Little Miss Revlons and her sisters. My favorite detail on my Sweet Sue is the trim on the hood of her coat. It is made of angora and is softer than soft. Just imagine! Angora on a play line doll! Those were lucky little girls in the 1950s. 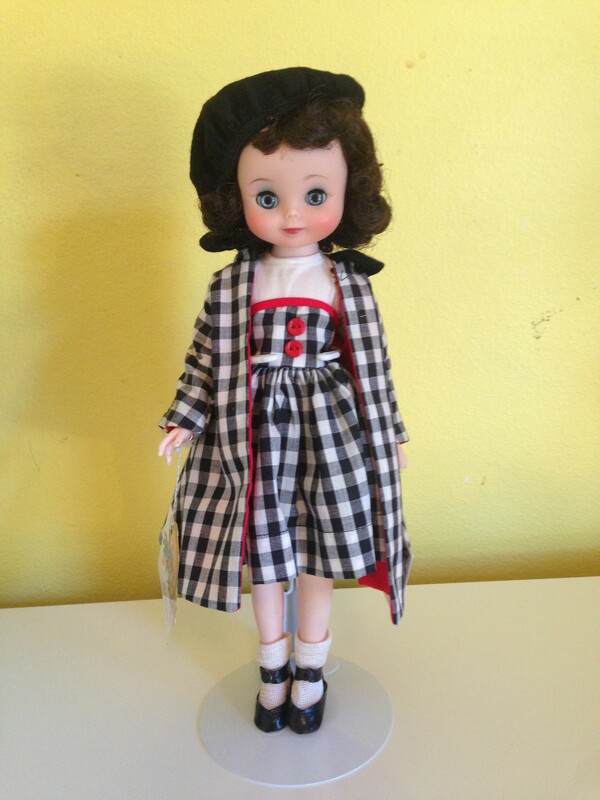 The second doll I purchased is a 1958 14” Betsy McCall with a charming gingham dress and matching coat. It was her precious face and wool beret that attracted me to her. 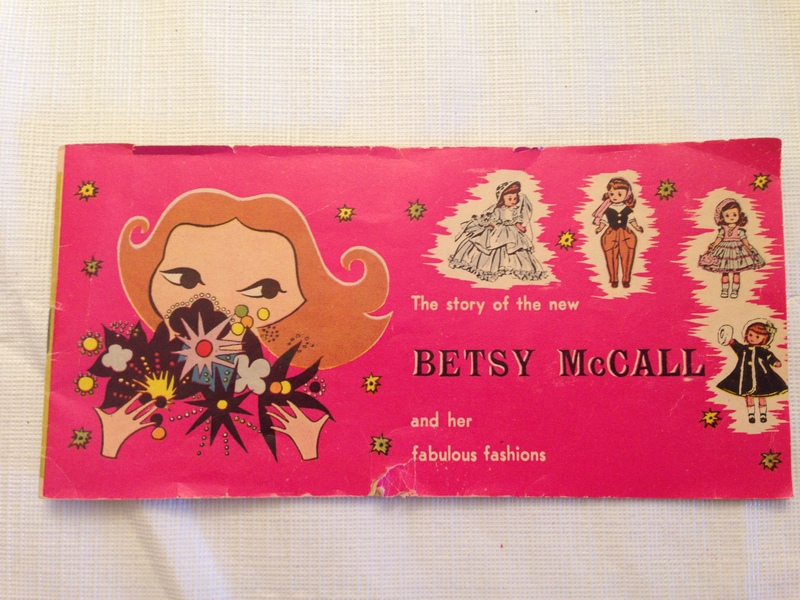 Betsy came with her original handtag, box, and advertising booklet. The booklet is like a miniature time capsule. It is part comic book, part brochure. 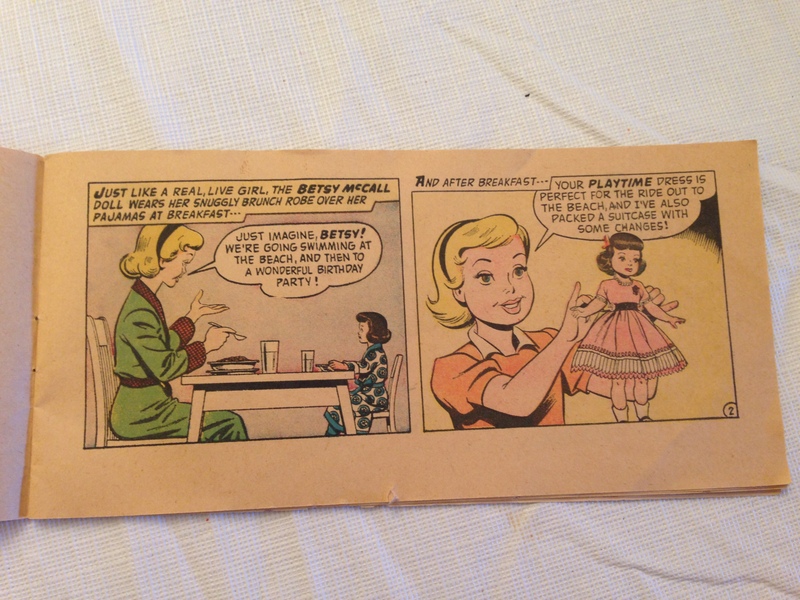 The comic follows a little girl during a day with Betsy—a day that requires eight changes of clothes—all of which are advertised in the booklet. I do have a few of my mother’s childhood dolls, but these are the first vintage dolls I have ever purchased for myself. I don’t suspect that I will purchase any more. 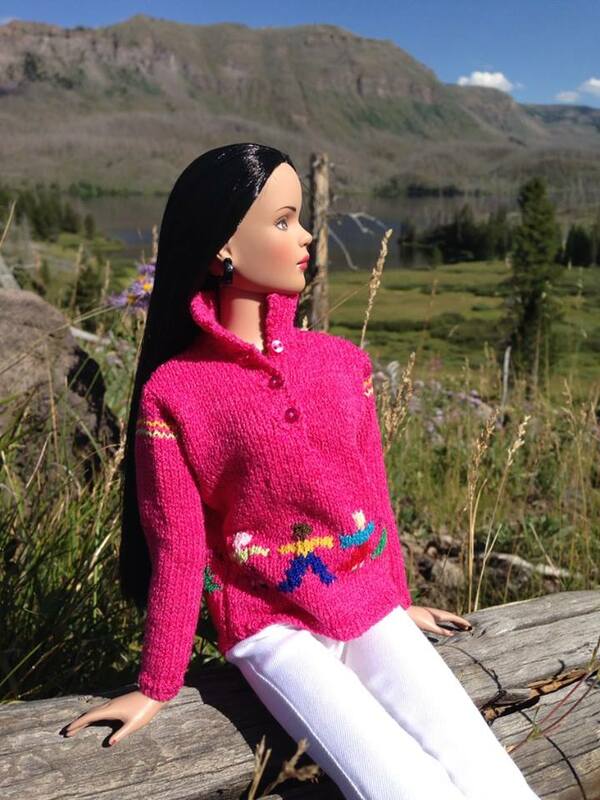 My taste trends more toward the modern fashion doll. But I am delighted that these special dolls are now part of my collection. Holding them in my hands and being able to carefully inspect them, I understand what Robert Tonner saw in them and what inspired him to launch his own career as a doll artist. So, thank you, Robert, for continuing to share your art with us—and for making it possible for me to own a little bit of fashion doll history.